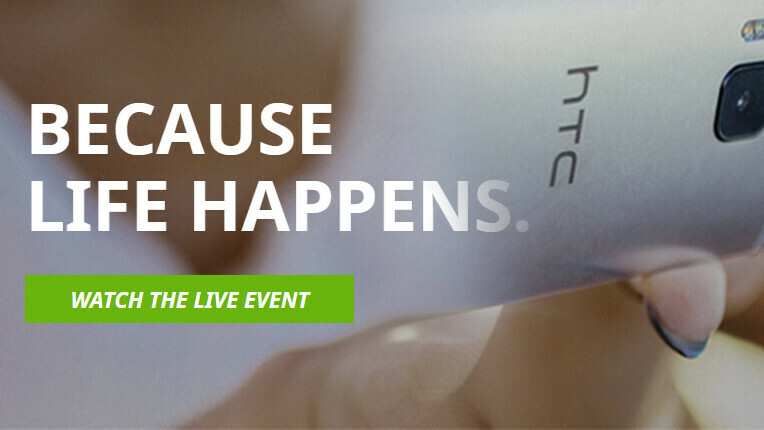 HTC will be making a special announcement at 9 AM (PDT) / 12 PM (EDT) today. The event goes by the "Uh-Oh" moniker, which suggests that the company will be unveiling its broken phone replacement program. As far as the website tells us, Uh-Oh Protection will allow customers to replace a One M9 handset within the first 12 months of purchase, no questions asked – it could be either due to damage, or due to changing carriers. This is a one-time deal, so don't think you'd be able to drop test a dozen of HTC's flagships. To sweeten the pot, if you didn't manage to destroy your One M9, HTC will give you $100 towards the purchase of its next flagship. The offer seems to apply to US customers only and seems to be inspired by Google's broken Nexus replacement program (which is still a bit hazy, as details on it are scarce). Well, the more manufacturers offer such a great deal – the better, we say. As to whether the event will be used to announce something else – we can't be sure. We do know that here will be a live Q&A session with President of HTC Americas Jason Mackenzie, and you can Tweet your questions to @HTCUSA. We could speculate that HTC may announce an early One M9 launch for at least one of the US carriers, as T-Mobile will be holding an Un-carrier event at 10 AM (PDT) / 1 PM (EDT) – just an hour after HTC's Uh-Oh one starts – and we are not ready to write this off as a 100% coincidence. But this is just guesswork. God offer... God job HTC. Naah... Where're not stupid! Though I like the offer I am almost sure its because of the overheating issue.